Bkon claims to have the secret recipe for preparing the perfect cup of tea, just as tradition dictates. For about $13,000, the new Bkon Craft Brewer promises to help you discover pure pleasure cup after cup after cup. 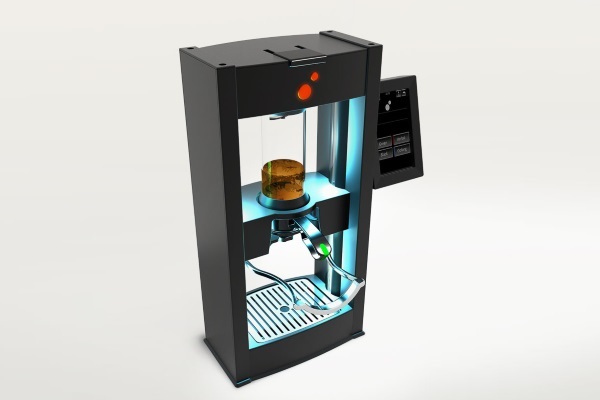 Powered by Reverse Atmospheric Infusion technology—also known as RAIN—, this brewer modifies air pressure to extract the flavor elements from the tea leaves. Typically, an infusion is created by soaking tea leaves in water. With the Bkon Craft Brewer, the tea is placed in a vacuum chamber that lets in a small amount of water. The brewer then draws out the air and the negative pressure in the chamber brings the leaves to the surface. Next, the machine goes back to regular pressure, creating air bubbles and mixing the liquid. Finally, the brewer adds water and repeats these steps. The whole process last a mere 60 to 90 seconds, depending of the type of tea. A detail that many tea lovers will like: the Bkon Craft Brewer comes with a touch screen that allows you to search among hundreds of preloaded recipes!